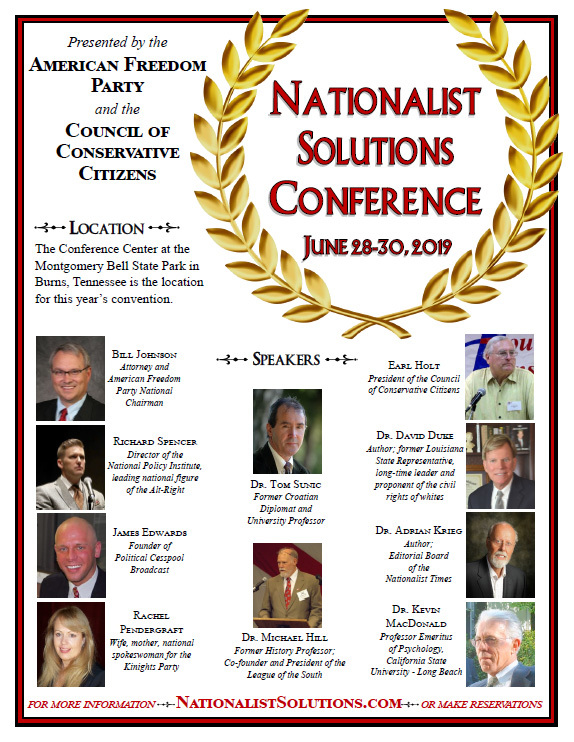 Much like the French Revolution – which turned upon itself during the “Reign of Terror” and began to execute even loyal Jacobins — the train-wreck known as the “Democrat” Party is in so much disarray that it has now begun to sacrifice its own leaders. The first example was the June defeat of Rep. Joe Crowley in New York’s 14th District Democrat Primary by Victoria Ocasio-Cortez. Although Crowley was the number-four ranking Democrat in the House, he was retired by his more radical Latina primary opponent. Ocasio-Cortez is a naïve and ignorant leftist, but was elected by trash in the 14th Congressional District because she had the courage to divulge her Marxist ideology on the campaign trail. Not only does she advocate universal free income and free college tuition, she also wants to eliminate the Immigration Control and Enforcement agents (ICE,) who remove illegal Third World trash like MS-13 from our communities. A more recent example was California’s total repudiation of four-term U.S. Senator Dianne Feinstein by “Democrat” Party leaders in California. Although Feinstein is a Jewish leftist, she is apparently too “conservative” for the loons and communists that comprise the “Democrat” Party in the Land of Fruits and Nuts. Feinstein defeated every challenger in her June California “Jungle Primary,” in which all candidates of both parties run in a single primary and the top two finishers compete in the November Elections. However, in mid-July she was rebuffed by “Democrat” Party leaders in California: Feinstein had chivalrously proposed that since she and de Leon are both “Democrats,” the state Democrat Party should abstain from endorsing either candidate. 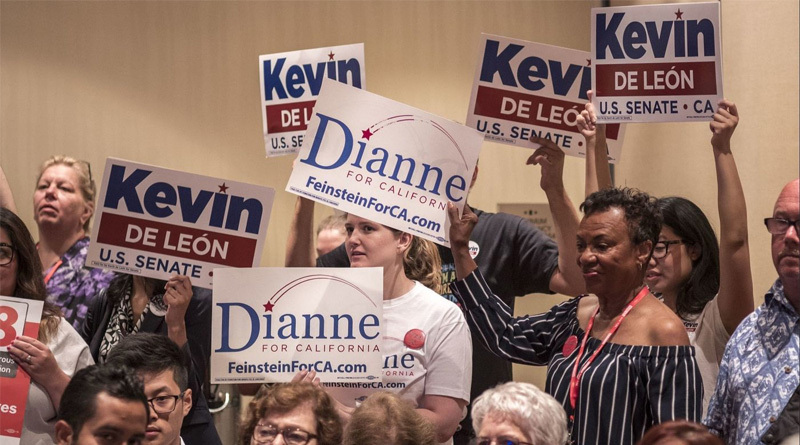 Instead, the California Democrat Party endorsed Feinstein’s opponent, Kevin de Leon! This could be a fatal blow to Feinstein, since “Democrats” are so ignorant and stupid that they are heavily dependent upon the Democrat Voter Guides – distributed by the party at election time — to tell them for whom to vote. You see, most California voters can’t read English, and even fewer can identify anyone in the California Congressional Delegation. Watching a new generation of unabashed communists defeat equally traitorous “Democrats” — who have lied to the American people and misled that party for decades – has put a smile on my face and a song in my heart. It’s also a lovely example of “poetic justice,” because the very people who advocate open borders and mass immigration are finally getting a really good and well-deserved dose of both. Indeed this was poetic justice handed to Crowley. Far too much attention has been given to Cortez. Our focus should be on the small minority of whites (just 18% of the district) who have been marginalized.